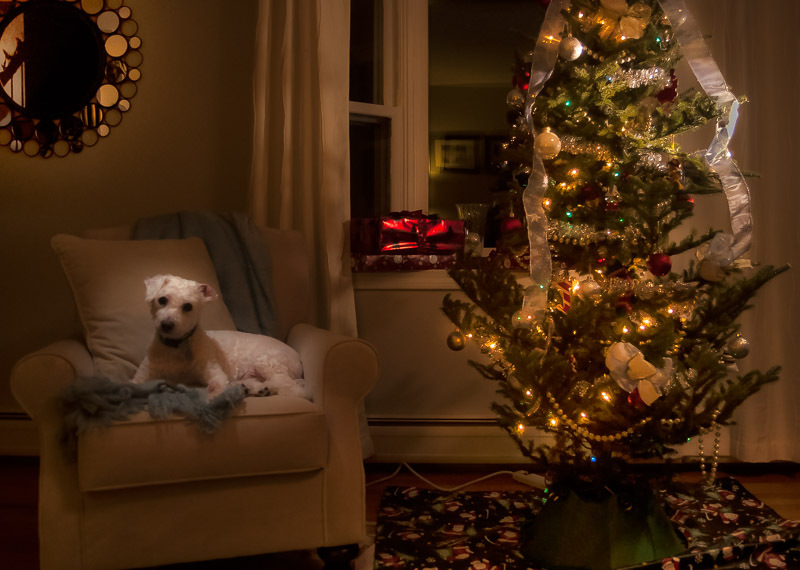 After spending some time re-reading David Hobby’s awesome Lighting 101 and Lighting 102 tutorials, I decided to create a holiday picture with our Christmas tree and Bichon, Cooper. I wanted the picture to be kind of moody, almost looking like it is lit by the fireplace. But I also wanted the main focus to be on Cooper. I remember a while back I read a great post by pro David Tejada, and it was my inspiration for this particular shot. Come and check it out after the jump.